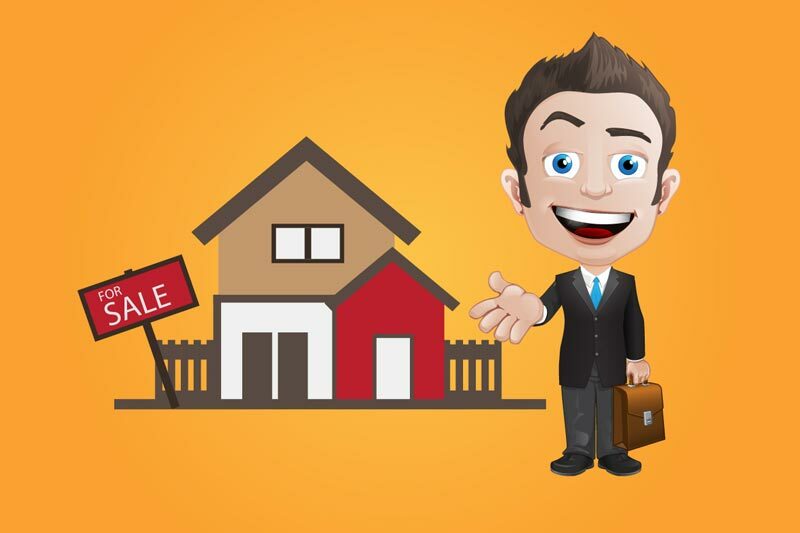 Ready to find a business for sale? In this article, we will look at the first steps you need to take to creatively source viable companies. 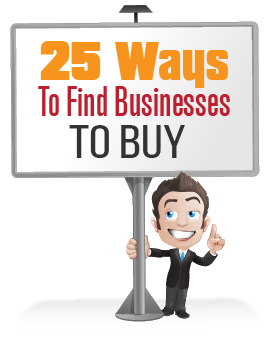 We cover 25 proven strategies to find small businesses for sale which work GREAT right now. 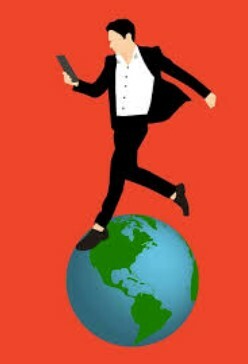 Once you have decided exactly what your business purchase criteria will be, and after having opted to source companies that are actually for sale (as opposed to trying to find then contact owners who only might be looking to sell), the next logical step is to find as many ways as possible to conduct your search. Naturally, as a business buyer, you’ll want to position yourself at the forefront of any potential acquisition candidates, while at the same time doing so in the most cost-effective way. Generally speaking, the more ‘creative’ you are in finding deals, the quicker the ‘right’ deal will present itself. Using slightly diverse methods when looking for viable companies means that the likelihood of finding a suitable acquisition candidate that no-one else is aware of will be much higher. 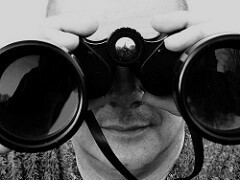 Quite often, when sourcing acquisition candidates, it’s almost impossible to know where the next deal will come from. 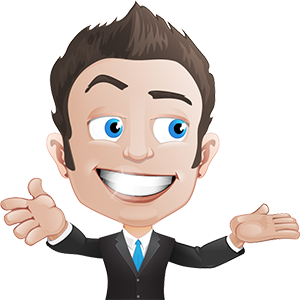 It could be something you read about in the newspaper, word-of-mouth, a lead from a meeting or even as the result of visiting a website. Trade Shows: No better place. Visit a trade show in an industry that you’re interested and just talk! 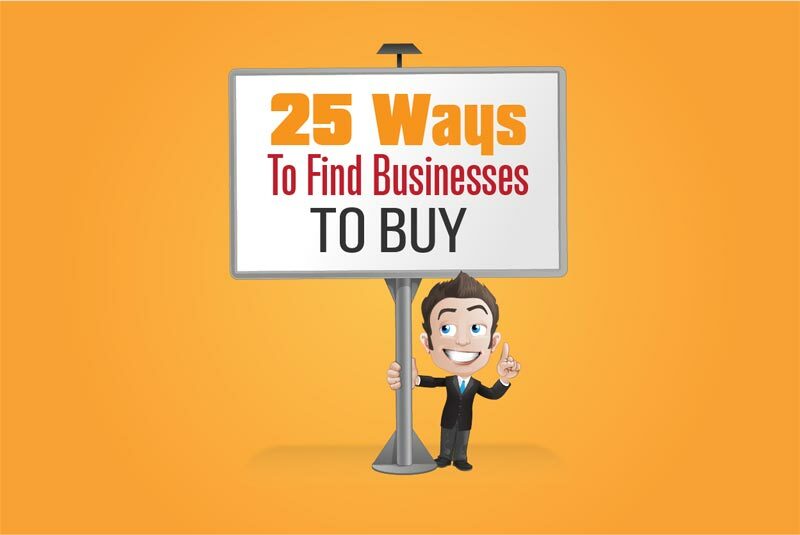 Here are the top 25 ways of finding a small business for sale. Take a look! Once you begin your business pursuit drive, you will be able to add your own methods to this list. 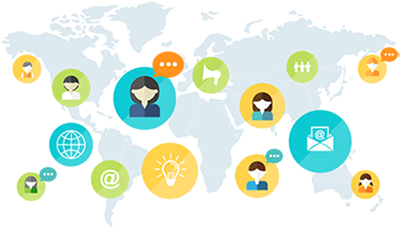 Today’s capabilities make it possible to reach out to various industries, countries and industry participants, which means that there are more variations for the options we listed. Of course, it is important to be proactive when sourcing companies, but it’s also just as important to document and broadcast, whenever and wherever, what your specific purchase criteria and business interests are. After all, how will individuals, business owners, merger and acquisition intermediaries, and private equity firms know who you are and what you are looking to purchase? This can be done either by printing something up or via email. The internet is by far the most cost-effective means to outline exactly what your business interests and purchase criteria are. But keep in mind that there’s a limited number of e-commerce sites, and these solely accommodate the needs of proactive business buyers. 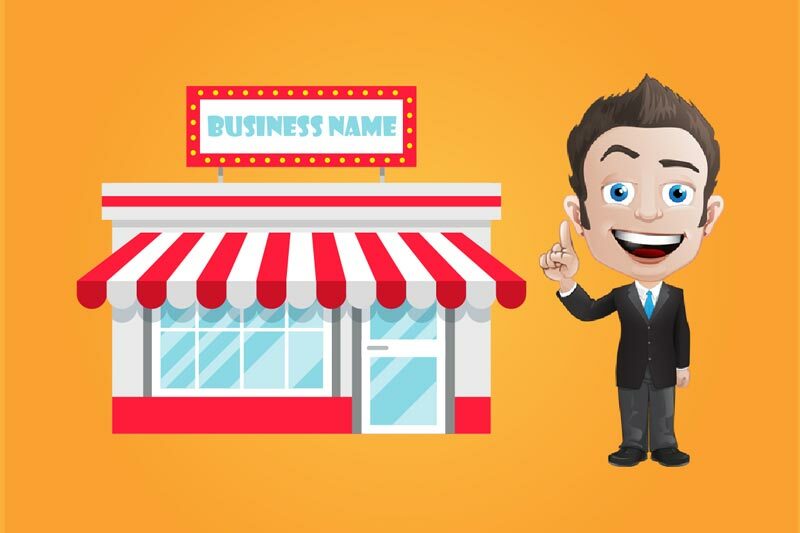 Generally, the vast majority of business transactions websites prioritise listing businesses that are for sale and nurturing the needs of the business sellers rather than business buyers. It’s worth spending a little time and effort to research and try out the various ways to source companies to purchase. 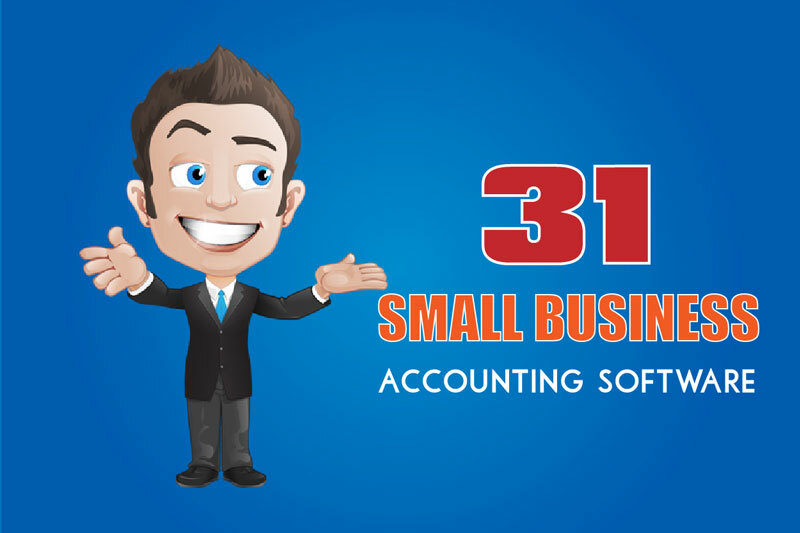 Naturally, some will be more fruitful than others, but it’s certainly worth putting in that little extra effort to find the perfect small business for sale. What do you think of these methods? Have you tried them before? Either way, feel free to leave your comments below and I will be sure to answer them as soon as they come in!